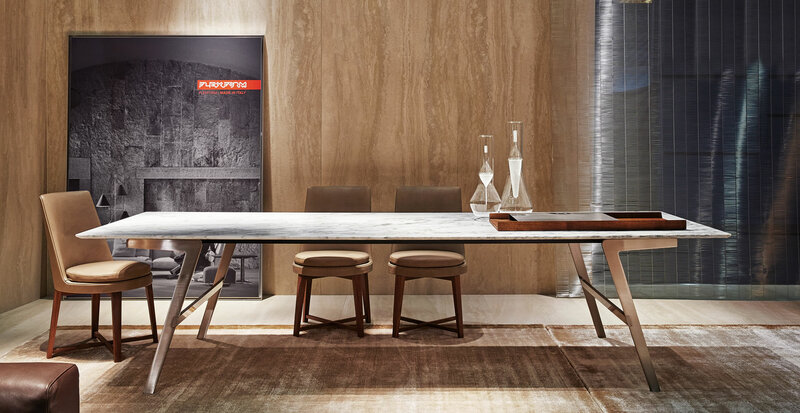 From a formal standpoint this is an extremely architectonic table. The flat metal leg is the distinctive design feature. With its particular “boomerang” form it generates an image that makes a clean break with the usual orthogonal arrangement of top and structure, inserting a forceful feature that generates identity, an almost airborne sense of poise, even with large measurements. 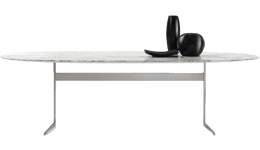 Soffio has a metal base and a top in solid wood or marble. Solid and light at the same time, it plays with the clean form of the structure that supports the overhanging top. Originally rectangular in form, even in the length of 3 meters it conveys an idea of aesthetic lightness, thanks to the slender legs and top. 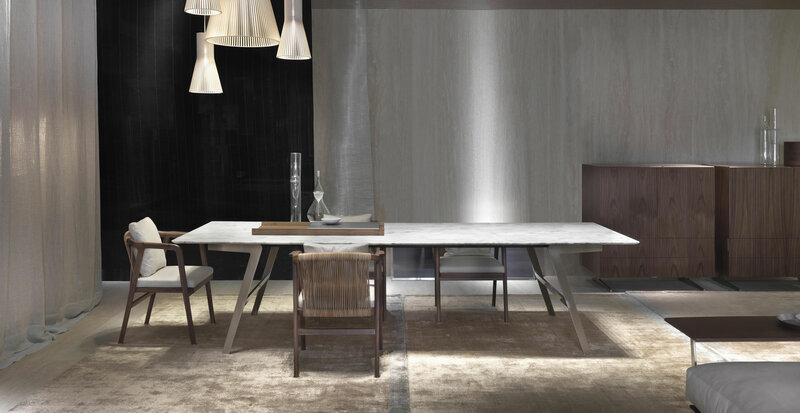 Soffio generates a family of products, also including smaller tables and consoles.